There are many startups making waves in the country, but there are a select few that stand out, with massive potential, run by some very impressive entrepreneurs. Aerobotics — is a startup to watch closely. The Cape Town-based agritech startup is a data analytics platform providing data drawn from satellite imagery and drone flights to monitor farmers crops and warn them about potential risk. Last year the startup took part in Google’s Launchpad Accelerator, launched its bid for the US market and in 2018 landed funding in a round led by Nedbank Capital (see here, here and here). Bank Zero – few people in this country are enamoured with their banks. They charge exorbitant and confusing fees on accounts and investments, and are basically a monopoly of six. Enter Bank Zero. The 45%-black-owned, app-driven bank wants to disrupt the established banking cartel with the core belief that “South African bank customers currently pay too much for basic banking services.” It wants customers to pay “little to nothing for basic banking”, only paying for added features. What has made the industry sit up and take notice is the involvement of former FNB CEO, Michael Jordaan – who now runs and investment company (see here). Yoco – Many have seen the Yoco credit card terminals at retail outlets. 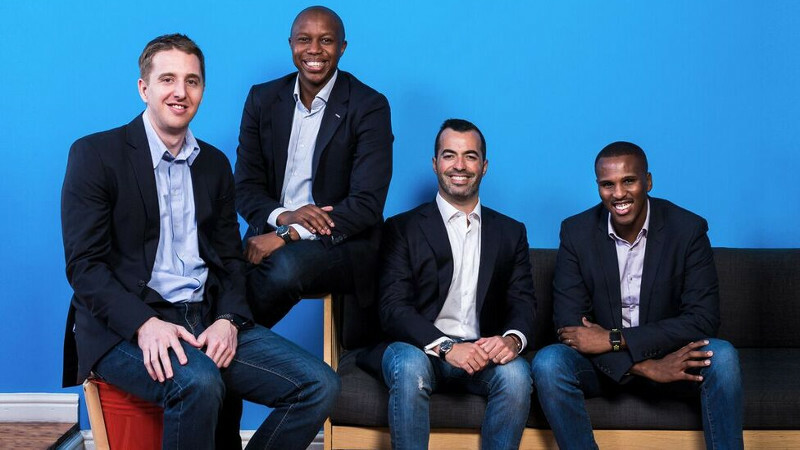 In what was arguably one of the biggest venture capital deals announced in 2018 in South Africa, the point-of-sale payments provider (whose founders are pictured above) claimed to have raised $16-million in a round led by a Silicon Valley-based VC firm. Yoco says it services more than 25 000 small businesses, processing more than R3.4-billion in payments annually. Unlike most banks, Yoco doesn’t charge a monthly fee, and transaction fees get smaller the higher a merchant’s turnover. Yoco is also easy to do business with. A quick call revealed a simple and clear fee structure. When contacting the big banks for fee comparisons, with the exception of Nedbank, I became lost in a maze of call centres with staff unable to give me direct information on fees. For Standard Bank, I waited 10 minutes on the call to their merchant services department, and just gave up. Yoco will certainly be giving the banks a run for their money (see here and here). remove most of the steps in the traditional insurance process, and make the experience simpler and more convenient. It is still a baby of a startup but is founded by the impressive Daniel Guasco, formerly of Groupon (see here). Pineapple – Another insurtech play that allows you to insure belongings by just snapping a picture of them with your phone. Premiums users pay go straight to a “Pineapple Wallet”, which is used to help pay the claims of the Pineapple community. At the end of each year, money leftover in the wallet can be withdrawn in cash. Last year the startup was accepted into the US based Hartford InsurTech Hub. Pineapple announced it had secured R5.2-million in seed funding from the Hannover-Re Group Africa in return for a 25% stake (see here and here). Giraffe – runs a web platform that matches job seekers with job placements with a few twists. Earlier this year the Joburg-based startup closed a second funding round in which one investor partner bought a share of between R10-million and R20-million. The startup also won the prestigious Seedstars World competition for emerging startups in 2016 (see here and here). JUMO — Last year the Cape Town based fintech startup was the first to be selected by Google for its Launchpad accelerator. 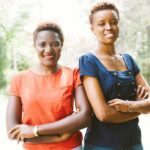 Since inception in 2015, the company has grown from seven to 300 employees in just two years, and has development offices in Cape Town, Nairobi and Portugal. In 2018 the startup landed a whopping $52-million funding deal, with founder Andrew Watkins-Ball locating to Singapore to help the company enter new Asian markets (see here). Special mentions go to social enterprise sector startup, Lumkani, which seeks to address the challenge of shack and slum fires in urban informal settlements in South Africa and across the globe. Ikeja is another under-the radar-startup Wi-Fi tech company focused on providing solutions for ekasi and rural areas. Another startup worth keeping an eye on is Quicket, a fast-growing local online ticketing startup taking aim at the very poor competition we currently have in the local market. Have we missed one out? Let us know in the comments section below. Matthew Buckland is an investor, entrepreneur, founder of Ventureburn.com. This column was compiled with additional reporting from Ventureburn journalists. Disclosure: Matthew Buckland is an indirect investor in Quicket via a local VC fund.